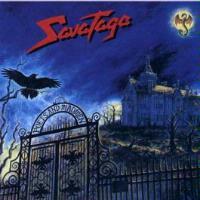 In the battle for best hard rocking album of 2001 Savatage may well have fired the winning shot with this one. Indeed, this is arguably one of the greatest prog metal albums of all time, taking its place with Queensryche's Operation Mindcrime and Paradox by Royal Hunt. It is a great darkly toned concept album that doesn't let you down for a minute. Starting in haunting and dramatic tones, this piece feels a bit like a cross between Queensryche, BOC and Alice Cooper. The lyrics on this one are particularly strong. "Somewhere in this universe of long forgotten dreams, The silence weaves a tapestry of once enchanted themes, The shadows listen carefully and question what it means, For stories have lives of their own, But what good's a story whose end is unknown". The instrumental break takes on a great progish jam that changes into a triumphant Cooperish tone. Melancholy piano ends the piece. Starting with a keyboard dominated style that calls to mind '80's metal artists like Europe, the cut breaks into a hard edged rocking mode after a short time. The lyrics have a frightening mysterious tone to them. The cut breaks into a great prog metal jam after a time. The chorus incorporates a wonderfully dramatic pause/stutter effect. The outro features a dark, almost scary toned metal jam. A psychotic laugh adds to the sensation of fear. Beginning with dramatic piano work, this cut is one of the most effective hard rocking pieces on the album, and this is a very strong album. A chorale vocal arrangement and classically oriented chord progression raise this one into the realm of high art. The song shifts to a fast paced prog metal mode that really rocks. This composition is a very strong one. Beginning with bass, this song continues with a dark metallic style. It then jumps to a screaming gritty metal tone for the chorus. This is great dark prog metal. Aptly named, this one comes in fast and frantic and has the most straight forward, driving metal textures on the album. It is a bit quirky at times and features a strong guitar break. Coming in in a haunting prog ballad mode, bursts of progressive metal fury punctuate the piece - this style makes up the intro. As the song proper begins, one of the coolest guitar riffs this reviewer has ever heard ushers it in. This riff makes up a sort of second introduction. As the verse begins, a mellower, balladic mode based on that riff is the basis. The song continues to build on both that section and other more traditional metallic forms, still returning to the balladic style. This cut is arguably the highlight of the disc. It is certainly one of the most ambitious tracks, constantly changing and evolving, at times taking on operatic qualities, both in the musical and vocal arrangements. This one certainly has a lot of classically oriented stylings. At times it even calls to mind Spock's Beard's "Catfish Man". Starting with a balladic mode that sets a nice contrast to the complex fury of the previous piece, this one bursts into incredibly hard edged choruses that really hit you over a head in their unbridled power. A different balladic segment emerges, coming off as very progish in texture and fairly lush in arrangement. This one features an incredibly tasty guitar solo. A more sedate and rather pretty balladic style begins this one, almost Neil Diamondish. 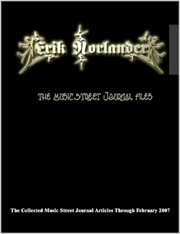 It evolves into hard-edged prog metal mayhem full of twists and turns and including some incredibly meaty progressions. Starting with haunting piano, an eerie tone ensues. After a verse in this style, a crunchy riff lifts the intensity to a progressively dominated metallic style that is very intricate and powerful. This is yet another fine example of the power and elegance that makes up the best prog metal. A bouncy more straightforward metal riff begins this cut. Gritty dark tones continue it on, but that awesome bass riff keeps returning to ground the piece. The rhythmic texture really steals the show on this one. The song gets quite quirky on the instrumental break. A pretty piano based balladic composition, this one grows in melodic lines, becoming hard rocking, but still holding on to its original texture. It is definitely a powerful number. This one has a standard '80's styled metal texture, and is a bit average. However, it is only a bonus track on the disc, so that is very excusable.